Beautiful historic hotel and close to museums and theaters. Parking and amenities are expensive so best to know that in advance to make other plans, if necessary. I thought the hotel was very beautiful and our room was exceptionally comfortable. Beautiful as it is historic, the Millennium Biltmore is a treasure to enjoy. Little hidden gem within the heart of DTLA. It’s like you go back in time and are at a different place. Close to everything. Older hotel needs upgrades but it's a nice throwback to old LA. Charming. 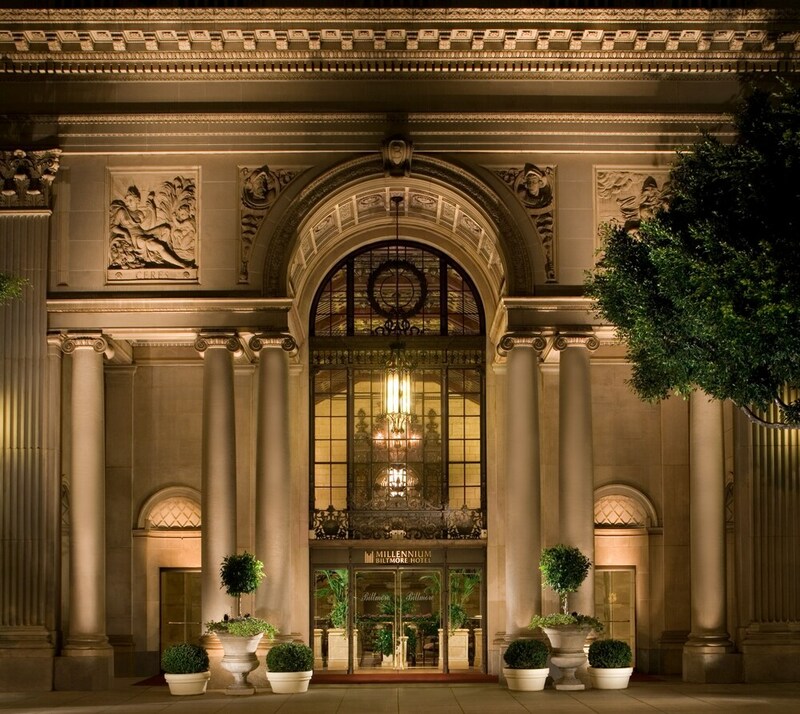 The lobby and ballrooms are beautifully restored, with their original architecture. The rooms have been modernized, so you get all the comforts of a new hotel. THE MILLENIUM IS IN A VERY SAFE NEIGHBORHOOD WITH LOTS OF GOOD RESTAURANTS. THE HOTEL IS ALSO CLOSE TO THE METRO. Nice and clean hotel, with beautiful halls in the lobby, and good location. Just wish the bathroom had more counter space in it. Located in Downtown Los Angeles, Millennium Biltmore Los Angeles is adjacent to Pershing Square and within a 10-minute walk of other popular attractions like The Broad. This 4-star hotel has 683 guestrooms and offers conveniences like 4 restaurants, an indoor pool, and a fitness center. This hotel is home to 4 onsite restaurants, perfect for a quick bite to eat. Satisfy your hunger without leaving your room with room service, or quench your thirst with a beverage at the bar/lounge or coffee shop/café. Start each morning with full breakfast, available for a fee from 6:30 AM to 10:30 AM. Beds sport down comforters and the bathroom offers a hair dryer and free toiletries. Other standard amenities include a coffee maker, free local calls, and an ironing board. At Millennium Biltmore Los Angeles, guests enjoy features like an indoor pool, a fitness center, and free WiFi in public areas. Valet parking is available for USD 42 per night. Multilingual staff at the 24-hour front desk can assist with tours or tickets, dry cleaning/laundry, and securing valuables. Other amenities at this historic hotel include conference space, a 24-hour business center, and coffee/tea in a common area. Thank you for the 5 star review, we appreciate it and hope to see you again soon! Thank you for your review, we appreciate it and hope to see you again soon! Recreation features at Millennium Biltmore Los Angeles include an indoor pool and a fitness center.